Ever feel the pressure to be the perfect host? To have the "right" number of kids who go to the "right" school? To have the best house? To earn more money? 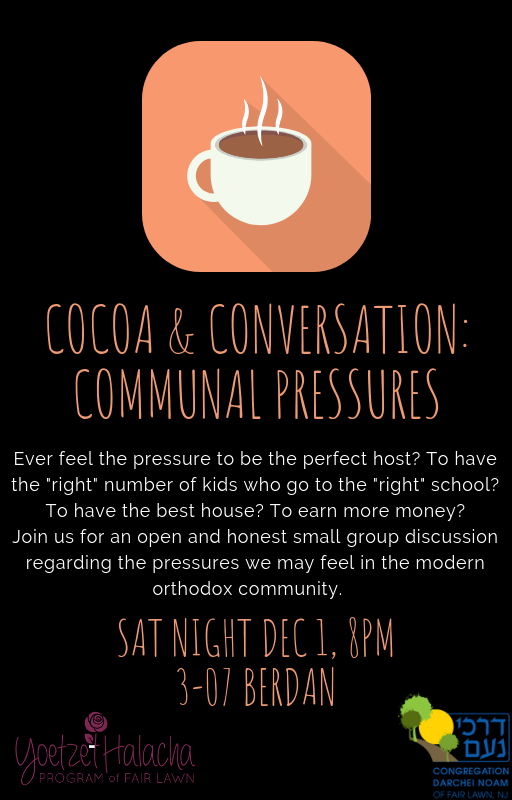 Join us for an open and honest small group discussion regarding the pressures we may feel in the modern Orthodox community. Open to women only.